It's strange but amazing at the same time that I am to write about Marmite. 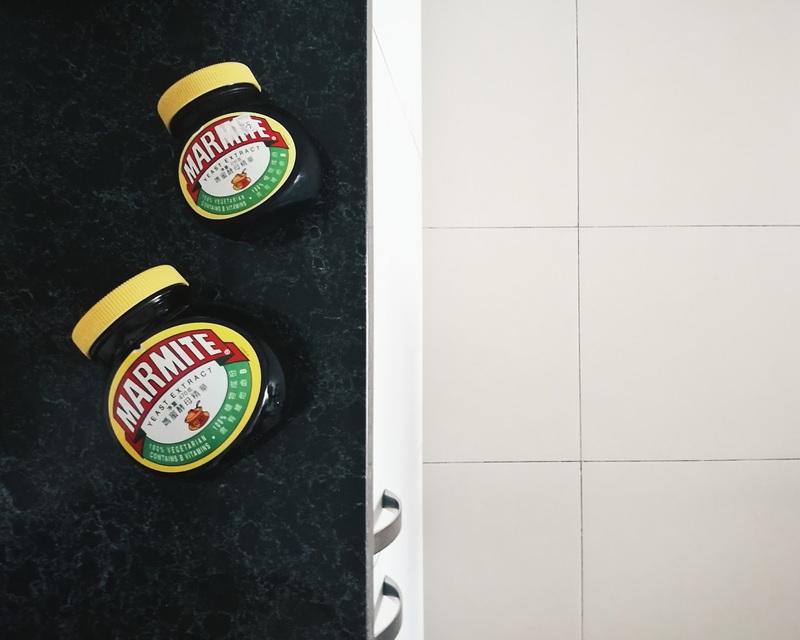 I took this up, to talk about Marmite, because I grow up with Marmite. 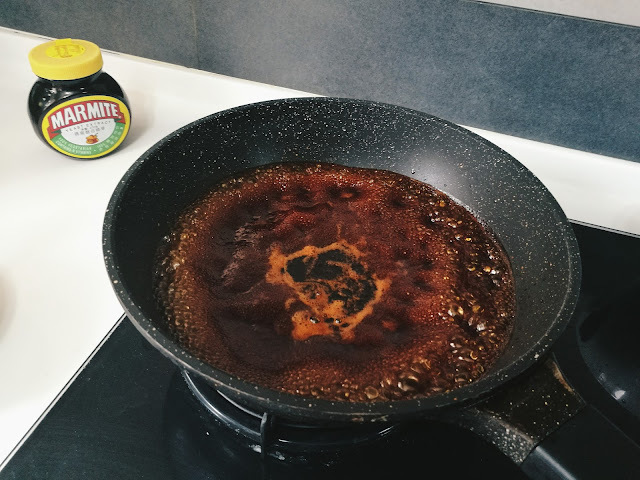 Marmite is a yeast extract ( in a concentrated form ). It was first introduced in the UK. A thick, sticky food paste with a distinctive, distinguishing flavour. I admire their slogan too, very daring. My dad is a big fan, Marmite is his favourite snack. I used to think that he's too westernized for me. Our pantry at home will never run out of Marmite. Sometimes, when I smell Marmite, I know dad is home. To be honest, I didn't like it when I was a kid. I actually grow to love it. Maybe it's in the gene of something. I'm surprised that my nephew loves Marmite. He and my dad are best friends, my dad probably influenced him, lol. I grow up watching my dad eats Marmite. How does he take it? 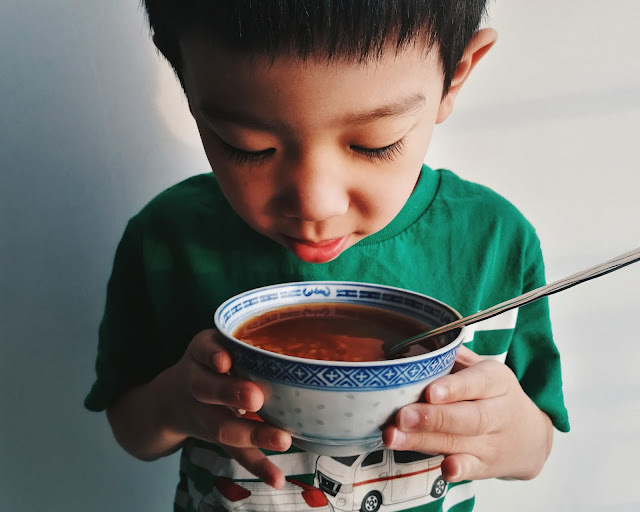 With mum and without mum, he mixes Marmite in his porridge. With mum, there will be other dishes to go with the Marmite porridge. 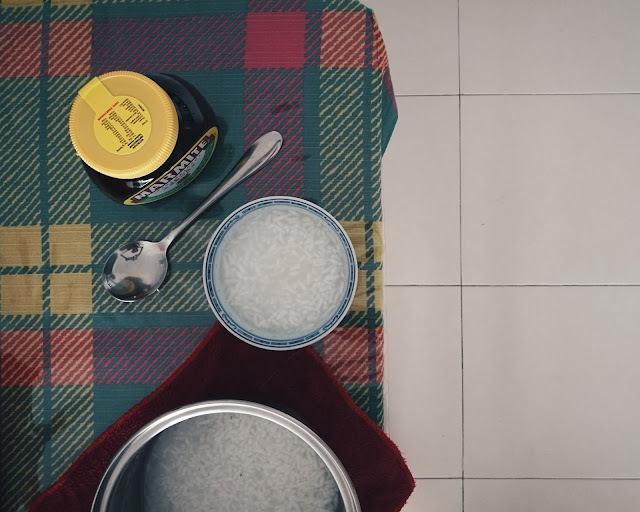 Without mum, plain Marmite porridge is good enough. Our family has been very busy with work and hospital trips because dad is sick. My mum hasn't been cooking because she has no time for it. So, I have to cook my own. I don't fancy cooking, I like everything fast and easy. I take a lot of oats and yogurt because they are easy to make and are nutritious. scoop a spoon of Marmite and mix in the porridge. Instant nutritious bowl, you have it. Marmite comes with Vitamin B, Folic Acid, Riboflavin, Thiamine and Niacin. No colouring and preservatives added too. 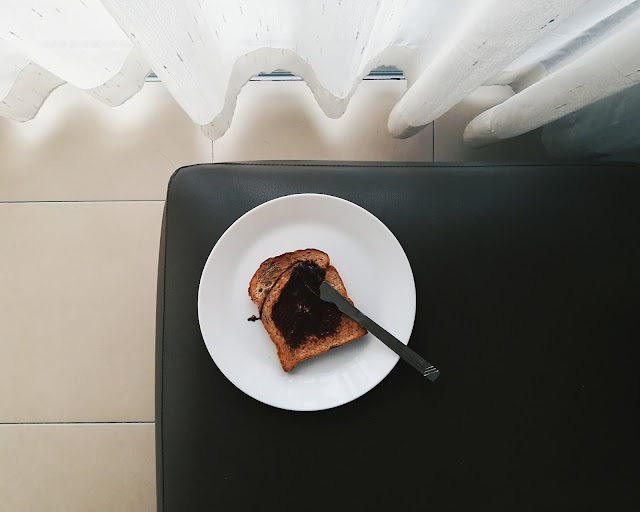 Marmite is also widely used as spread. I have oats and sometimes whole wheat bread for breakfast every morning. Depending on what I'm feeling each day. Sometimes, I go with butter and jam. Sometimes, I go with Marmite. 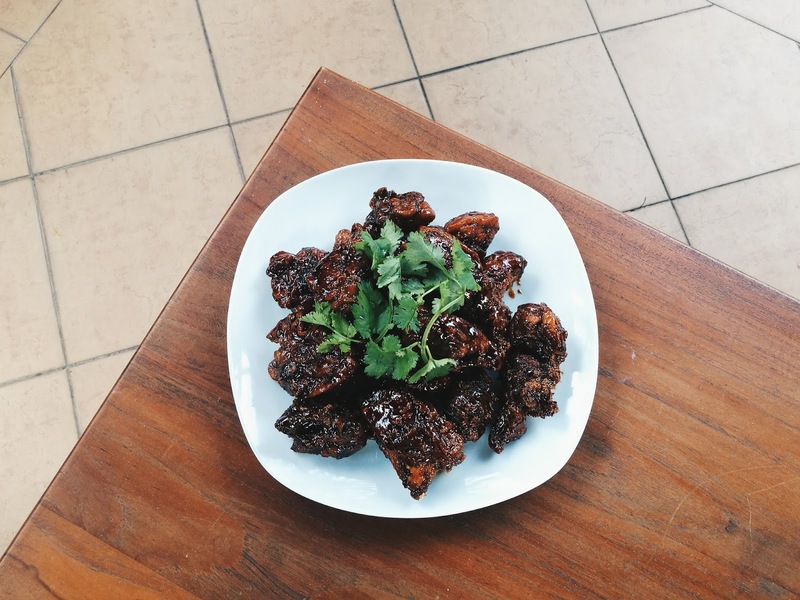 Chinese style Marmite chicken, hands down. I love my grains, I also love me some fried chicken. I'm practicing to cook for this Chinese New Year's reunion dinner. 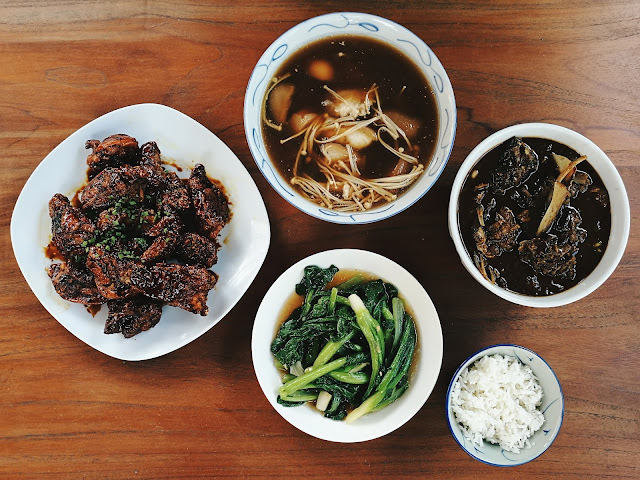 One of the main dishes is Marmite chicken. So here is how I cook it. 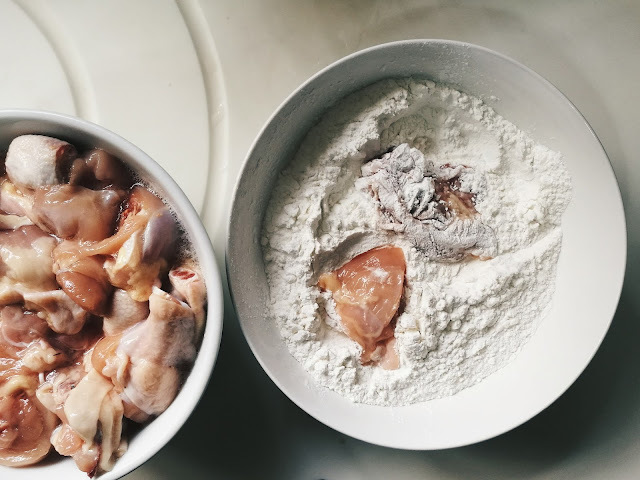 1.Get fresh chicken from the market, chop them up, wash and sprinkle with some salt. 2.Beat two eggs until bubble-ish (only egg white). 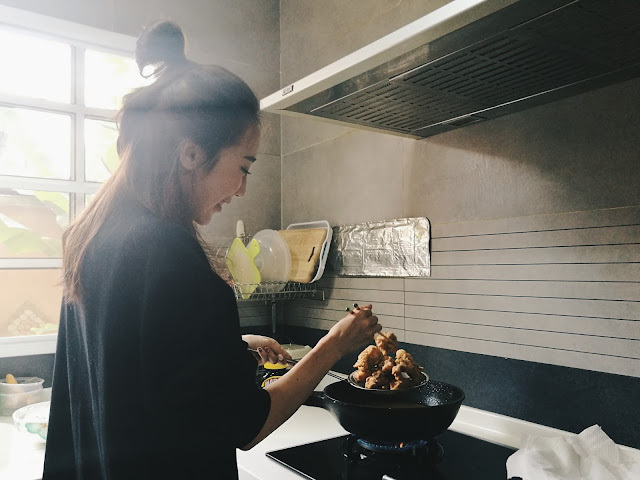 This step is taught by my talent manager, YY, she's a good cook. The bubble egg white will make the chicken more crispy. 3. Pour the slightly whipped egg white into the bowl with chicken and mix it. 4. 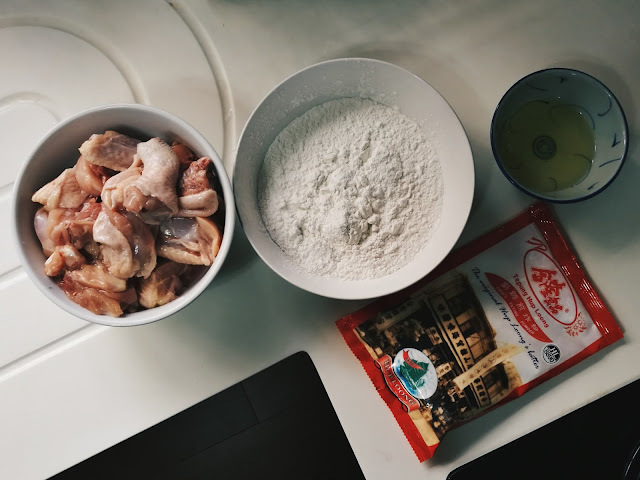 Coat with Hup Loong flour. you have to pre deep-fry the chicken. 5. 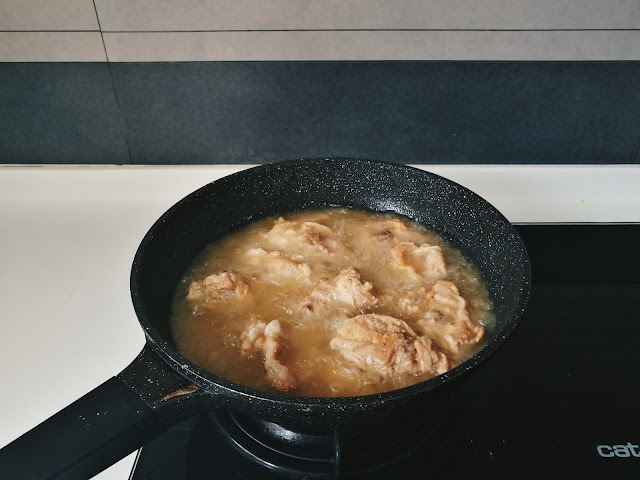 Heat the cooking oil up and start frying. 6. (optional) send picture to boyfriend and ask if he wanna "wife" you, lol, jk. 7. Strain and drain the oil out. 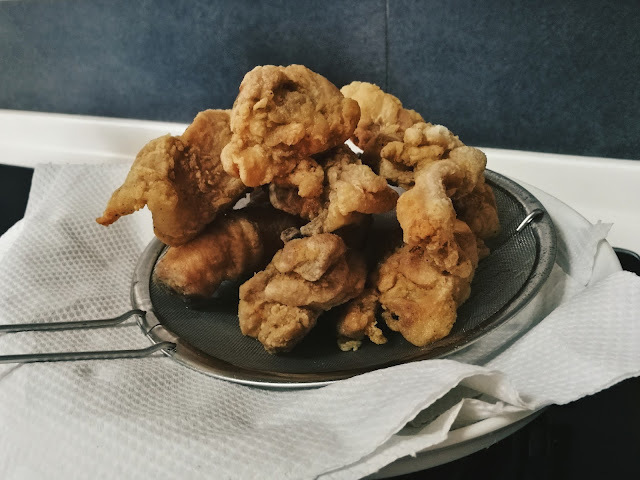 So happy with how the fried chicken turned out to be. Here comes the crucial part. Always start with a spoonful of Marmite. Depending on personal preference, add the others accordingly. I like it sweeter, so I added a lot of sugar. 9. Heat a cup of water up and then, cook it with the mixed sauce until it's thickened. 10. Add the chicken into the thickened sauce and coat the chicken. A presentable, delicious dish for the reunion dinner. I shall perform this Chinese New Year, as a domesticated daughter, haha! Start practicing and start cooking, everyone.